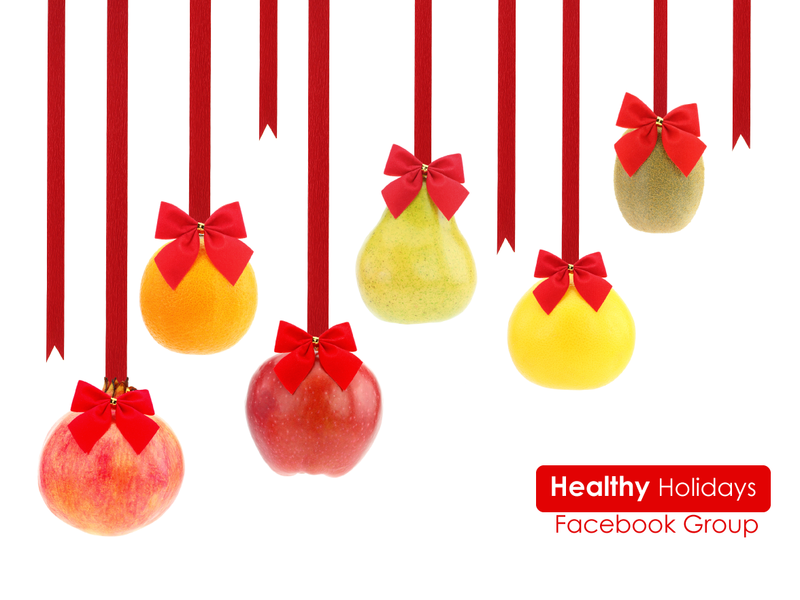 Happy Healthy Holidays Starting Soon! Next Monday marks the start of our FREE Holiday Event! We will transform our holiday season together and start the New Year out right! Do you want to join us? It is FREE and we are all participants. We can all do it our own way. All you have to do is set goals and be accountable for your actions and progress at least once a week. Don’t be hard on yourself this holiday season. Our goal is to simply add in one healthy whole food each week. Enjoy your holiday traditions and don’t eat beyond what feels good to you. Resolve to get at least 30 minutes of good healthy exercise in each day (with one day of rest). You will feel better through the holidays. Exercise is good for depression, weight maintenance and your general health. List 3 things that you are grateful for each day. By focusing on gratitude, we see our lives from a different perspective. Instead of seeing what is going wrong, we see the more important picture of what is right in our lives. You don’t have to brag about your giving, but if someone gives and it turns out to be really special, share it with us. You may also want to include it as a part of your goal. In prior years, my goal was to give without cost; it does not have to be an expensive gift, just thoughtful and meaningful. Do you know anyone who is struggling through the holidays? Invite them along! This weekend I will work on my own goals and post them here. Please click on the “Secret Facebook Group” page that you can be invited to if you would like to be involved! Comment below or Follow this link to the Face Book Group to join in, this will be fun! The group will close on Monday, 11/24, 2014 so be sure to request to join by then. See you there! This entry was posted in Building Your Community, Natural Body Care, Nutrition and tagged Happy Healthy Holidays, healthy holidays, holiday support group, Holiday weight gain. Bookmark the permalink. ← Make Almond Milk – It’s So Easy!